1). 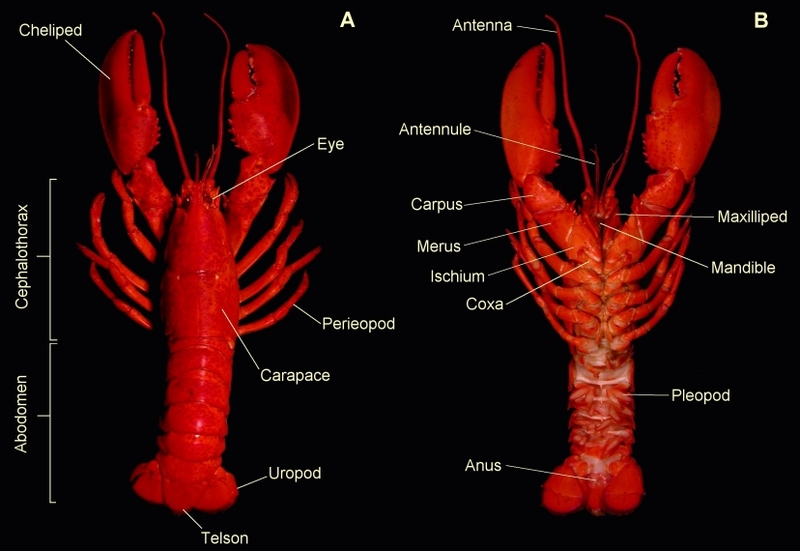 The anatomy of a modern lobster; (A) upper surface, (B) undersurface, both x0.5. The pereiopods are the walking legs, whilst the pleopods are used by certain groups for swimming. The maxillipeds transfer food to the mandible (mouthparts). 2). The terminology applied to the cheliped. The dactylus is a separate segment which articulates with the propodus. Palaeastacus sussexensis, x2, Grey Chalk, from an old collection. 3). Side view of a modern lobster, x0.75. 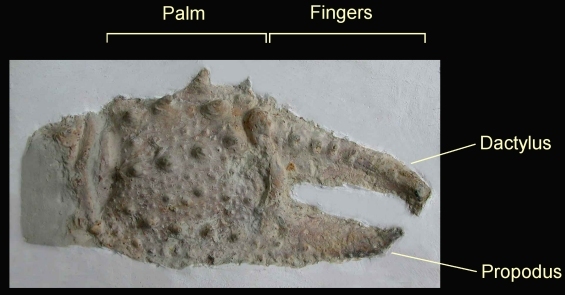 The rostrum is the frontmost tip of the carapace.